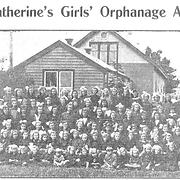 The St. Catherine’s Girls Home, at Geelong in Victoria, is yet another of the old Children’s Homes worthy of new look by the Australian Royal Commission into child sexual abuse. There are two main reasons for this. Firstly, there is the matter that a flat was maintained within the Home for a priest who acted as a “chaplain”. This provided the potential for abuse. Indeed, that happened with one Fr. Bernard Maxwell Day, who occupied the flat between 1961 and 1963. It was the practice in St. Catherine’s that, after early morning Mass, the priest’s breakfast would be prepared in the convent kitchen and a girl would have to take it to the priest’s flat. A girl would also be sent to tidy the priest’s bedroom and make his bed. These women say that Father Day used to sit girls on his knee and touch them indecently. They assumed that this was the normal job of priests. Former inmates of St Catherine’s say that Mother Aquin learned about Father Day molesting girls and she therefore had him removed from the institution. This forms the second basis of concern about this particular Home. There is no evidence that Day was reported to the appropriate authorities. This entry was posted in Uncategorized and tagged Australian Royal Commission into Institutional Responses to Child Sexual Abuse, Catholic Church, Christian Brothers, Fr. Bernard Maxwell Day, Lewin Blazevich, Lewis Blayse, mandatory reporting, mandatory reporting laws, Melbourne Response, Mother Aquin, Sisters of Mercy, Sisters of St Joseph, St. Catherine’s Girls Home, St. Catherine’s Girls Home Geelong, St. Catherine’s Girls Orphanage, Towards Healing, Victorian Professional Standards Office. Bookmark the permalink.